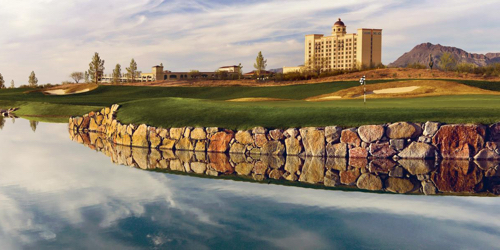 When it comes to golf, Casino Del Sol knows how to hit it long. Tee up with our More Fun Golf Package on Sewailo (suh-why-lo), our championship golf course. This package includes two rounds of golf, a $50 food & beverage credit, $25 in FreePlay, two Sewailo drink tickets and a brand-new Callaway Mac Daddy wedge. Ask about a complementary 15-minute short game lesson (based on golf professional availability and advanced scheduling) when you make your reservation. Sewailo Golf Course reserves the right to change price and offer at anytime. Prices and offer are subject to change without notice. GolfTrips.com is not responsible for errors posted in this golf package.